This Section contains Information about various Consular services offered by the Mission which are outlined on the left. Please click on the relevant subject. The websites www.evisa-kenya.com and www.kenya-evisa-online.com are NOT affiliated with the Kenyan government in any way. DO NOT APPLY FOR AN EVISA THROUGH THESE WEBSITES!!! With effect from 1st February 2016, children under the age of 16 years accompanying their parents to Kenya are exempted from paying visa fees. Do not submit an application or make any visa fees payment for a child under the age of 16 years. The Consular section is open to the public on Mondays to Fridays, from 09.00 hrs to 13.00. With effect from 1st June 2018, the section will additionally be open to the public on WEDNESDAYS ONLY from 2 p.m. - 4.p.m. Visitors bringing applications, picking up passports, seeking over-the-counter services as well as all telephone inquiries on applications and other consular matters on the remaining weekdays will only be attended to until 13.00 hrs. Payments made into the given Embassy accounts are non-refundable. Applicants are therefore advised to ensure that all application requirements are met and ample processing time considered before transferring the required fees. 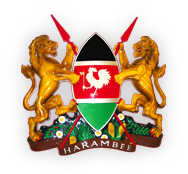 East Africa Tourist Visa applicants should pay the visa fee to the Kenya Embassy if first entering Kenya and only to the account on the East Africa Visa application checklist. All fees for visas, certificates and other services should be paid in form of bank transfer or EC-Debit card at the Embassy and not in cash or cheque. The Embassy of the Republic of Kenya in Berlin is the ONLY legally recognized provider of ALL payable Consular services in Germany. The Honorary Consulate offers ONLY advisory services. For payment through the bank, please use the Kenya Embassy Account details provided on the checklist attached with the application form. To help us serve you faster, please indicate your full name and in brief, the purpose for the payment, or services desired, attach a copy of the bank transfer form or Überweisungbeleg to your application and mail the same to the Embassy. The government of Kenya established the Huduma Kenya Program to transform service delivery to ensure citizens are provided with convenient, dignifying, quick and excellent services using one-stop shop services delivery models; both physical and electronic. These are platforms where various government services are provided from one place a customer need not move anywhere else to receive these services. To date the program has established 46 Huduma Centers: a Huduma Contact Centre; Huduma Mobile Services and the Huduma Smart Servie Card. The e-Huduma Portal is still under development. These platforms have had tremendous success and are very popular with citizens. As a result, the program has received multiple awards locally, continentally and globally.